If you’re into making your own homemade Christmas tree ornaments then this unique Christmas ornament is worthy of a true artist and yet an elementary school child can also end up with a beautiful ornament. Note: because this easy Christmas ornament uses a glass light bulb please do not leave your child unsupervised while working on this project. decoupage items such as photos, magazine pictures, etc. Wipe the light bulb with a little rubbing alcohol or white vinegar and a piece of cotton from a vitamin or med bottle or a soft cloth. Allow to dry. Wash bottle caps with hot soapy water and allow to dry. Using a small nail, poke a small hole in the center of the soda cap. Bend wire into a U-shape and thread both ends through the hole in the cap. Secure the wire ends on the inside by twisting together. 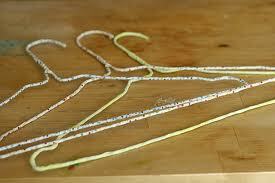 Now you have a hanger for your ornament. Using heavy duty craft or jewelry glue, glue the soda cap to the socket of the light bulb and the dishwashing liquid cap to the bottom center of the bottle cap. Allow the glue to dry. Paint the glass portion of the light bulb with enamel paint. Paint the socket section, the bottle cap and dishwashing liquid cap with a metallic paint. Allow paint to dry and apply additional coats if needed. Glue your decoupage items to the painted light bulb. Follow the manufacturers instructions to apply a crackle finish. When crackle finish is done apply a small amount of an antiquing medium such as burnt umber paint. Allow this to dry and then apply 2 to 3 coats clear shellac or varnish. Do not apply clear protectant to the metallic painted areas, as the varnish will dull the metallic paint. Use hot glue to apply small pieces of decorative trim to hide the socket area and disguise the dish-washing cap. Glue a bead to the bottom center of the ornament. Note: you can leave the dish-washing liquid cap either open or closed. If you decide to leave it open, place a dot of glue inside the cap to keep it from closing.